In the middle part of the 19th century a Gentleman often carried a small knife or a derringer in a vest pocket. 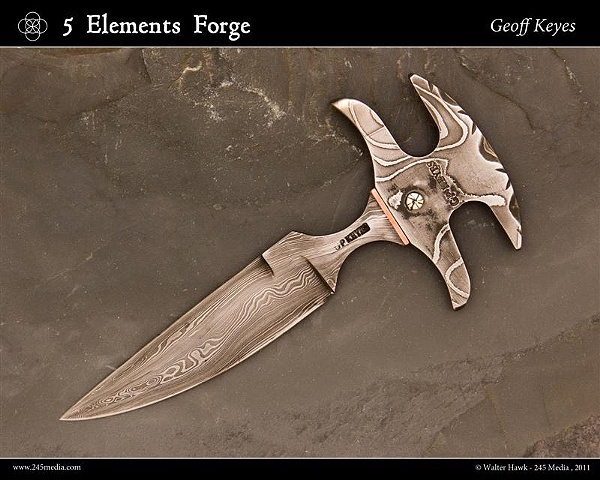 This one is made entirely from damascus steel. The handle is a low layer count (about 12 layers) and the double edged blade is a 300 layer twist pattern. A small copper spacer and a NS pin accent the piece. The blade is just over 4 inches. This piece now has a scabbard with a pocket clip.